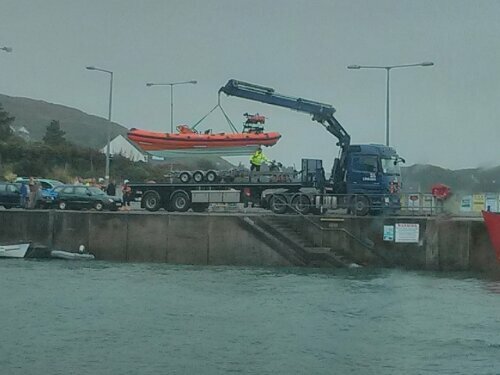 Baltimore RNLI inshore Atlantic 75 City of Bradford V leaving Baltimore by lorry for Helvick where she will lie afloat. Helvicks boat Alice and Charles will be brought to Baltimore tomorrow. 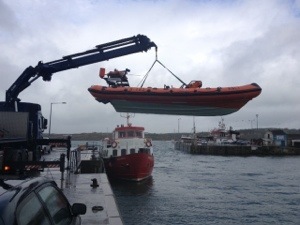 The Tamar class Alan Massey will provide lifeboat cover overnight. The City of Bradford V is fully prepared for lying afloat so is more suited to service in Helvick.